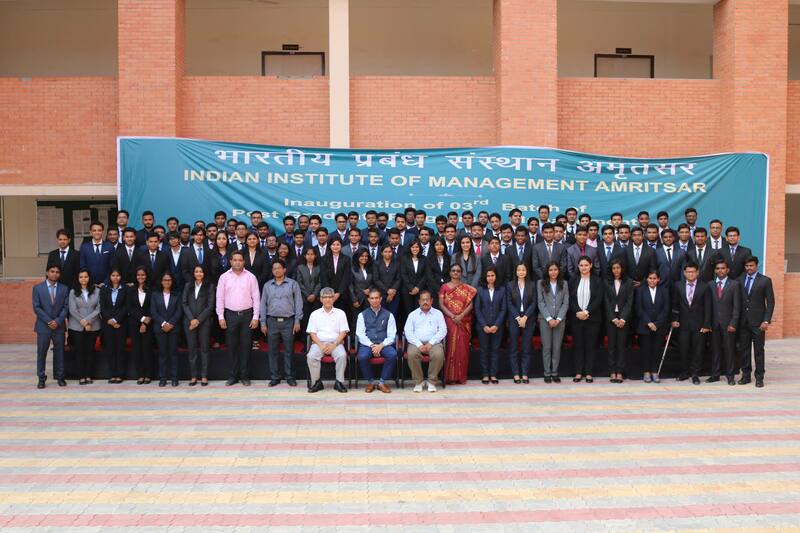 Placement Committee of IIM Amritsar successfully organized a guest lecture on October 11, 2018. The industry leader invited to address the students was Mr. Sujitesh Das, Vice President, Global Human Resources, Microland Limited. Mr. Sujitesh delivered a lecture addressing his organization- Microland 5.0: Digital Accelerator. The lecture had two sessions and witnessed an enthusiastic participation from both the batches- PGP03 and PGP04. Mr. Sujitesh has a splendid career experience for more than 17 years in the field of IT & Human Resources and has delivered his services as Senior Manager HR at Cognizant and Assistant Manager HR at HCL Technologies before joining Microland. His contribution in the field of HR strategy, change and transformation, workforce acquisition and deployment, organizational effectiveness & development, reward and policies formulation, talent engagement and retention, mergers and acquisition, employee value proposition and branding is commendable. Mr. Sujitesh appreciated the efforts of IIM Amritsar in converting his visit to the Institute since it is his first visit to a 3rdgeneration IIM, considering the fact that he visits only around 30 institutes in a year. He introduced his organization, Microland Limited to the students. He was happy telling that Microland is a 29-years “old-young” company which happens to be India’s first internet company (dotcom company). Microland takes pride in being the first company to introduce the first remote infrastructure management system in India. He emphasized the meaning of digital and accelerator and how these terms relate to Microland 5.0. Digital Accelerator for global enterprises is tech transformation and operations specialist for building digital capabilities that drive profitability, enhance user experience and increase speed and agility by leveraging AI, analytics and automation at the core. He discussed Microland’s point of view on transformation- Transformation philosophy, user experience etc. and evolution of IT to Business. Mr. Sujitesh described the various digital and business solutions provided by Microland and how knowledge can be harvested to be future ready. Mr. Sujitesh ended the lecture by describing the unique hiring process of Microland. Their Next Generation Management Cadre hiring hinges on Visumes which is increasingly becoming popular. A few videos were shown as the specimens of visumes sent in by the candidates from different institutes applying for career jobs at Microland Limited.